Are you worrying about your Internal memory issue? You can’t able to install more Apps or update the current one because of this issue? 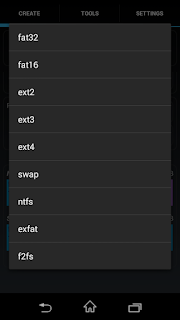 You ever thought that your Phone’s Internal Memory can be Expanded? Then you’re in the right Place. Let’s learn How to Increase your Smartphone’s Internal Memory. So how to fix this issue? we can fix this issue simply. 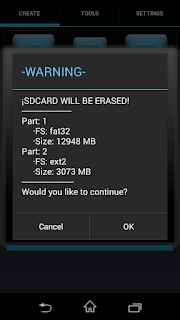 In this article, I will discuss how to increase the internal memory of your Android using External Memory Card. There are two methods to increase the internal memory both require an External SD card. one method is to change the whole external as internal and that’s little tricky and if anytime you need to remove the sd card there is a chance it will damage all the apps and games installed on it. The Second one is making a portion of your SD Card as part of your Internal. 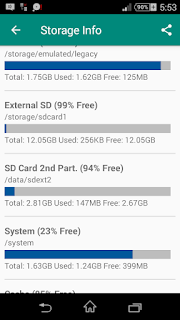 The second method I am discussing here it’s called partitioning of sd card and using that space (taking some space from sd card and use it to store apps). 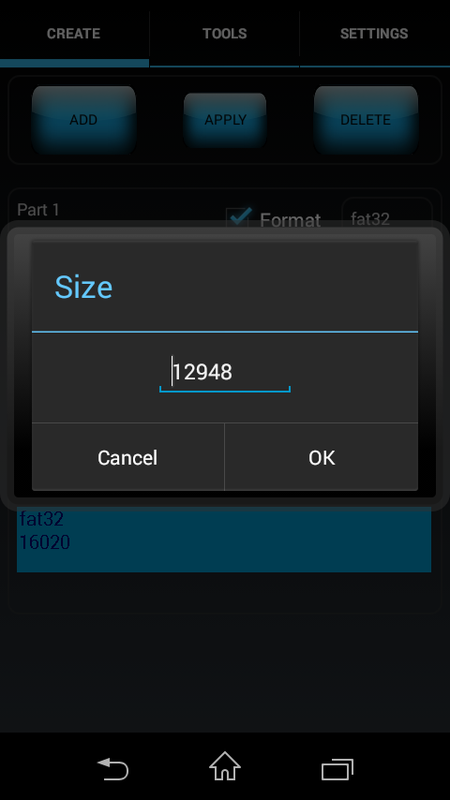 Backup all the data from sd card safely and format it. patience to do the procedure. 16020-3072=12948mb). this much only you can use as external since your going to use the rest as internal. click add and on the right space add the MB size of the rest (here 16020) make sure its fat 32. 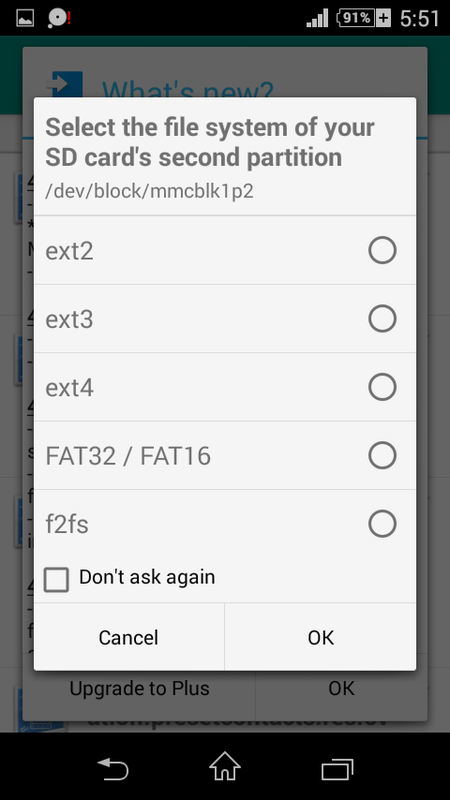 Go to settings and check the auto link option to install the apps to the second partition of the sd card. 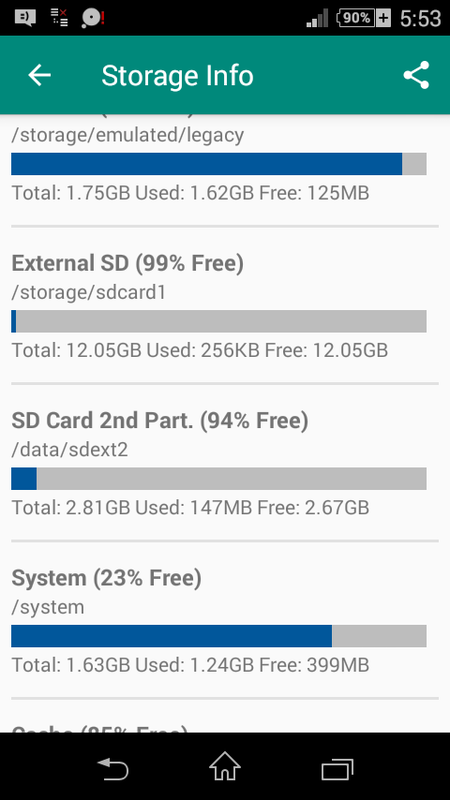 To move already installed apps to sd select internal in the link2sd. 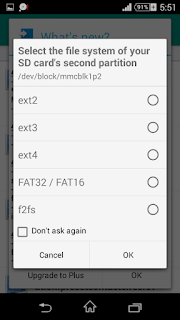 from the apps select you to want to move and press the link to sd card option check all the options that you can and press ok. done you can see the linking complete message. If you face any error or have any doubt comment and I will help as soon I see it. Good luck.